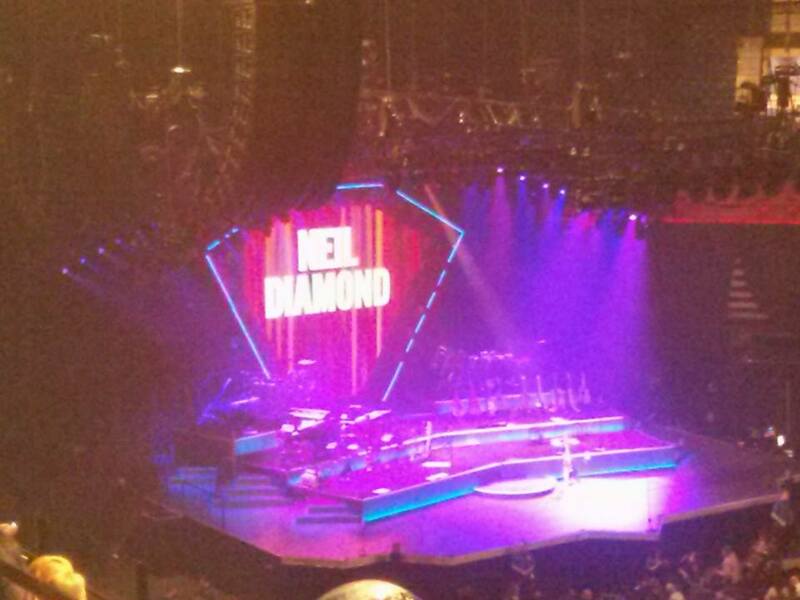 I have seen Neil Diamond so many times before (ten? twelve? ), and in recent years my passion for his music, which once bordered on an obsession, has waned. I’m more likely to listen to opera now, a substitution of one type of deeply emotional music for another. 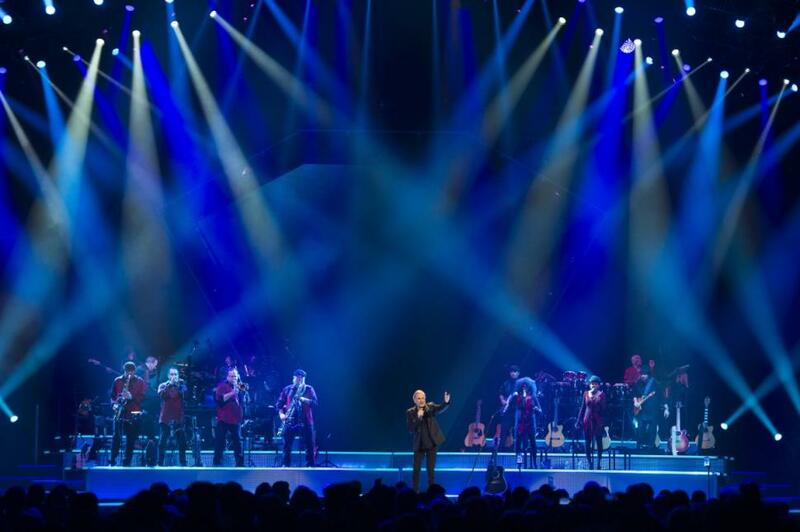 Yet it’s true that some of the best moments of my life have been spent at Neil Diamond concerts, and I know that sounds a little crazy to the average person. Let me try to explain. When I was young, I felt very isolated. I was gay in a time when that was much more taboo than it is now (the early ’80s) and I felt safe telling no one. I was also extremely introverted, a trait that always made me feel abnormal because I didn’t understand what an introvert was, or that I was one. I just knew I was very different from others. I was actually perfectly normal, though in a considerable minority on both fronts. I didn’t find out until decades later that I was rare even for an introvert (I’m an “INTJ” on the Myers-Briggs scale, about 2-3% of the population), and when I read the profile of such a person my whole life suddenly made sense to me. But back then, being gay and introverted was a double recipe for feeling different and weird and as if no one could possibly understand – or be trusted with – the real me. 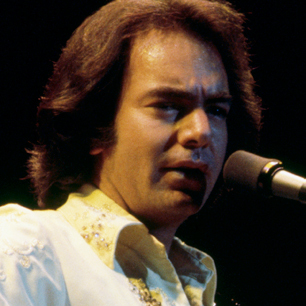 I desperately needed to know I was not alone, and that’s where Neil Diamond stepped in. He often sings about loneliness, heartache and isolation (“I am, I said,” “Solitary Man,” and much of the introspective, underappreciated music from “Jonathan Livingston Seagull,” for which he won a Grammy), and it spoke to me like nothing else had. Someone else knew how I felt, and had been where I was. He was a spiritual life saver, and my lonely heart secretly soared with the triumphant songs (“America,” “Holly Holy,”) and ached along with the despairing ones (“Lonely Looking Sky,” “Love Burns”). If you saw me at a concert in those days you would never have known that I was having a good time, but I was in my own introverted way (very little clapping along and – god forbid – no dancing, but definitely rapt attention and frequent shedding of tears). I must also mention how I discovered Neil’s music. In my teenaged loneliness and desperation to find someone else like me and not feel alone in the world, I took out an ad in a gay personals magazine. No Internet back then, so the options were pretty limited and primitive for someone in a small rural town. I also knew I would never meet someone locally, being as shy and reserved as I was. So when a guy in Ohio who was a few years older than me answered, we started an intense correspondence that lasted for many months. He was lonely like me, and as eager to find someone to relate to. His almost daily letters were the highlight of my day, and I could think about little else but him (to this day, 33 years later, I still remember his address and phone number, and saved the letters for many years). We eventually started marathon, late-night phone calls, when I would physically shake inside as I shared my most private self and gradually let someone in. We knew we had to meet. He lived 800 miles away and I had hardly ever left Connecticut, but nothing could stop me from meeting him – not even an uncomfortable, 16-hour overnight train ride by myself through the back alleys of Middle America. 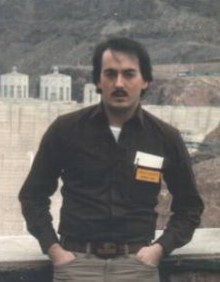 It had been his idea to go to a concert that first night, to see Neil Diamond, whose music I barely knew, at Riverfront Coliseum in Cincinnati, the biggest city I had ever been in. It was the most intense, magical, memorable night of my life. I’ll never forget the date, the off-the-scale hope I felt for the future, or the romantic, soul-stirring music that set the perfect mood for the occasion. When everything fell apart a few months later (what did I expect from a long-distance relationship? ), I was as devastated as I had been overjoyed, but had no one to turn to for comfort. Since nobody knew I was gay, I suffered my year-long heartbreak completely alone. All I had was Neil’s music to comfort me, and to spark the quickly fading memories of my Cinderella experience. Were it not for that lifeline, that connection to someone else in the world, I’m not sure how I would have coped. Forward to the present day, thirty years and many jaded experiences later. Tickets to the concert were $100, a steep price to pay for something I thought I’d outgrown. I also knew it would be very hard to get tickets. But an ex-boyfriend who works in the upper echelons of the casino, who knows my love for Neil, and with whom I share many musical experiences hooked me up through a mutual friend, who asked me to go with his group. Included in this entourage would be someone I hadn’t seen in eight years, but had once been very close to. He was one of the few people I was able to let in when I was struggling with so much, and with whom I always felt comfortable being me. These people are rare and special, so this was an added incentive to go. The day of the concert was a terrible day at work, and I had to race to meet the group on time. It was great to see my old friend again, but the restaurant we dined at was so noisy (band music) that we could barely hear each other during dinner, and I cannot speak loudly in such environments (an introvert hallmark). Then, since one of the tickets we had was separate from the other seats and I was the fifth wheel, I volunteered to take the lone seat. These types of things don’t really bother me since I do many things alone, but the combination of feeling isolated at dinner and then pre-concert did touch some old nerves. It didn’t help that the people around me were especially annoying extroverts. People! He began with some oldies and other songs that I wasn’t that enthused about: “I’m a Believer” (a song he wrote for the Monkees), “Hello Again,” and a “Love on the Rocks” that was a little too raspy. Then some casually upbeat numbers, which, as an introvert, I can take or leave. I prefer the ballads, the introspection, the ruminating, the triumph. So I sat there being critical, my neck stiff from the odd position I had to sit in and from the little bit of alcohol I had with dinner (I don’t drink very often as it often causes weird side effects, like that one. My tense body is probably shocked by the relaxing effect). But then came the familiar, delicious, descending scale of the opening to “If You Know What I Mean,” and Neil had me from that moment on. It’s one of the few songs I remember clearly from that concert in Cincinnati so many years ago. Those notes pulled me down into myself, into the past, into that other world I left behind with my shattered hopes. The one that I slammed the door on after I got hurt. I remembered, in my soul, why I loved this music so. The song is about wistfully remembering the past, and how elusive and intangible those images are (“Here’s to the songs we used to sing / here’s to the times we used to know / it’s hard to hold them in our arms again / but hard to let them go.”) It’s one of Neil’s most poignant songs, but the next one he sang was even more sobering. Neil was born in Brooklyn, New York, but had never performed there in almost fifty years of touring – until two nights prior to the show I attended. He wrote a song early in his career capturing his memories of growing up there called “Brooklyn Roads,” relating scenes from his childhood that flash through his mind before he finally realizes that he can never go back. I’ve always considered this the most poetic of Neil’s songs, a real masterpiece of wistfulness and longing in both words and music. He sat on a stool and began, slowing the usual tempo for extra effect: “If I close my eyes . . .” The new twist was that, behind him, actual childhood movie footage of himself, his immediate family and his old neighborhood appears on the screen timed to the detailed lyrics (“two floors above the butcher” as we see the apartment where he grew up, “and I see two boys . . . squirming into papa’s embrace” as we see the three of them in a happy scene from the distant past). Neil revealed before the song began that his dad had owned a movie camera, a rarity in the late 40s/early 50s, but he had never shown these images in a concert before. So here he was, a 74-year-old man in the twilight of a phenomenal career, one of the best-selling music artists of all time, shown at his genesis, back where it all began, a place he can only visit in his mind and recall wistfully in his old age. Not unlike me, trying to recapture a hopefulness that I once felt and abandoned long ago, never forgiving myself for being so vulnerable and naive. I was in tears, and had to restrain myself from outright sobbing. Neil himself was so moved by the thunderous ovation he received after this very personal performance that he appeared to momentarily lose his composure, something I had never seen before. You can do that in old age, or as a child. Everyone else has to squash it. And that’s how Neil hooked me. Again. He’s still got his memories, and I do, too. I looked up my first love from Ohio a few years ago on the Internet, just because I could. It took some effort, but I found him. I wasn’t sure he’d respond (in my desperation, I had gotten rather pathetic after the breakup). We’ve exchanged numerous emails and Christmas cards, and even a phone call, one of the most surreal experiences of my last thirty years. The old trembling was still there, and hearing his voice made me feel 19 again. Of course much has changed, and you can never go back. But I will always have Neil’s music to help me reconnect to that magical night back in 1982 when, for a brief while, I was the most hopeful I’ve ever been, and am ever likely to be. I’m wondering, What’s come of them?